Ten years ago, the brunt of New York’s lightning strikes not surprisingly hit the World Trade Center, the tallest building in the city. 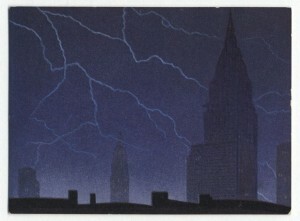 In fact, after the towers fell, scientists worried about an uptick of lightning fatalities in the city. 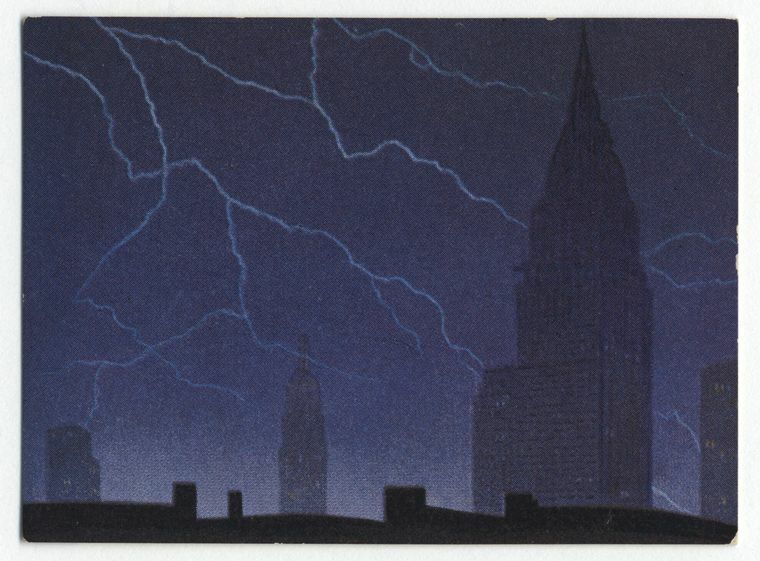 Lightning has thrilled and frightened New Yorkers even before the days of skyscrapers. A letter in a May 1853 issue of the New York Times mentions a large loss of life in the city due to lightning strikes and urges property owner to equip themselves with Benjamin Franklin’s century-old invention of the lightning rod. No rods were evident a couple months later in Green-Wood Cemetery, when a series of bolts destroyed part of its new picket fence. Meanwhile, lightning might have presented itself a most dangerous hazard (after drowning, heatstroke and overdrinking) along Brooklyn’s southern beaches back in its glory days. A few cursory searches on news articles from the 1890s-1910s brings up a few horrifying articles. From 1893: “ONE KILLED, THREE INJURED; LIGHTNING STRIKES A BATHING PAVILION AT CONEY ISLAND.” While in 1905, a series of lightning strikes killed five and injured eight, including a death at Ulmer Park. According to a 1884 journal on the wonders of electricity, an errant bolt even struck the Brooklyn Bridge while it was under construction, snapping a mast and sending currents through the wires. ← New York City Hall: Open for business for 200 years!